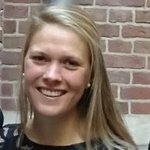 Born and raised in the Netherlands, Marleen Fleers started studying Psychology with a minor in Intercultural & International Management. She decided to continue her study in Spain and this turned out to be a real enrichment time for her study time. She enriched her international experiences working in the board position at AIESEC; the biggest international student organization in the world and an important international platform for young people to explore and develop their leadership skills. After this great adventure, she applied for an internship at the Ministry of Education, Culture and Science – department for International Policy; and meanwhile started with a master International Relations. Currently she is doing a traineeship; where she works on four different internships within the government in two years. Currently she is working for the Refugees Social Services Programme and she aspires to work within an NGO or for the Ministry of Foreign Affairs.